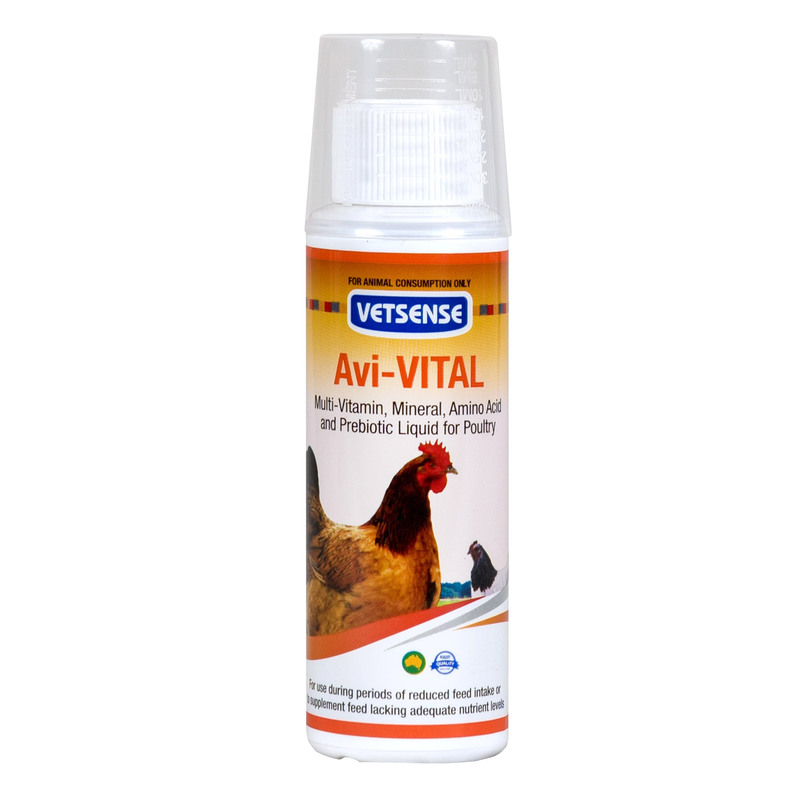 Avi-Vital is a multi vitamin, mineral, amino acid and prebiotic supplement for birds. It is used for periods of reduced and lowered food intake among poultry. Avi-Vital contains many vitamins such as Vitamin A, B1, B2, B3, B6, C, E and amino acids like Betaine, Choline, Lysine, and Methionine. The addition of oligosaccharides prebiotic improves gut health by fostering the growth of good bacteria. Oligosaccharides also assist the digestion process and the absorption of nutrients. Give every second day or daily if bird is under stress or convalescing. Supplies a measuring cap for your own convenience. This product can be consumed as neat. Carefully follow the instructions on the label.